Howdy, guys! Hope everyone had a wonderful Christmas - I can't believe it's already over. I never want adult Christmas break to end! I've designated today and tomorrow as my "chore" days so I can really soak up the weekend before I head back to work. That being said, this post is gonna be kinda short, but I'll be back soon enough with something overly wordy a little more meaty. So I just realized it's Wednesday THURSDAY (whoa), and I never posted last week's workouts. Whoops. I was VERY ill on Sunday (stomach flu, 103 (!!!) degree fever, insane can't-even-lift-my-head-up-off-the-pillow achiness, blahhh) and kinda let the beginning of the week get away from me. I am SO grateful that my sickness was short-lived and not a full-blown attack of the flu like I feared. I finally started feeling 100% yesterday, just in time to knock out all the the things on my to-do list before the weekend arrives. And just in time to share last week's workouts before this week gets away from us as well. Y'all, the chipper workout I posted on Saturday made me SO sore. I was literally still sore yesterday. I think I might do it again tomorrow. We'll see if it makes me as sore the second time around. I'm blaming it on the kettlebell swings and burpees. Those things are killer. 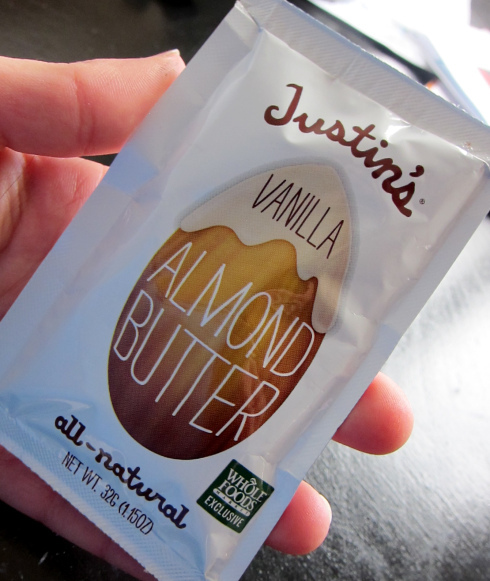 On a completely unrelated side note, I finally tried Justin's vanilla almond butter after seeing it around the blog world for a while. Verdict: it is SO good. Those who compared it to a healthy version of vanilla frosting were spot on. Go get some now! I think it's currently only being offered at Whole Foods, but hopefully it will be available more places soon enough. Speaking of WF, I got a couple of Whole Foods gift cards for Christmas so I plan to try out some other new-ish products in the coming weeks and will let you guys know if I find any gems. I also got a gift card to Trader Joe's, which is opening in my neighborhood January 4th! So excited to finally have a TJ's nearby. And even better, it's down the street from Whole Foods in case I need to make two stops. Grocery gloriousness. Last but not least, I watched this movie last night at the recommendation of a friend and loved it. Excellent cast and the the dialogue is perfection. Also, I wanted to see every. single. movie. in the previews. And my boyfriend wanted to see none of them. Perfect! Well, except for this one, which we already saw and both loved. What's the best new-to-you food product you've tried recently? Best movie you've seen this month?